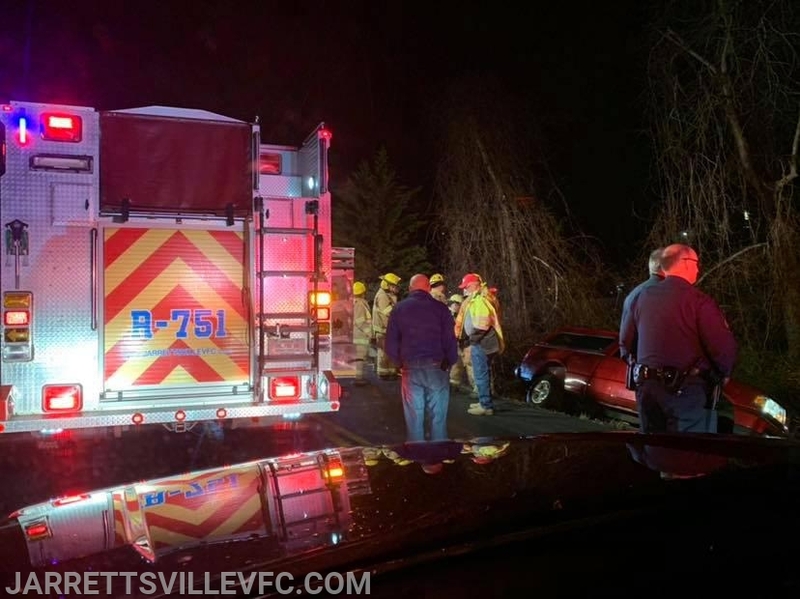 The Jarrettsville Volunteer Fire Company was alerted for a motor vehicle accident with reported rescue in the area of Morse Road and Rushing Stream Court. Units arrived and reported a single vehicle off the roadway and down an embankment. Rescue 751 stabilized the vehicle and assisted the patient out. Engine 712 secured the scene of all hazards while Medic 791 took patient care of the single occupant of the vehicle. Units were placed in service shortly thereafter.